Couldnt have asked for a better experience, was in and out with all my answers in 20min and didn't feel likejust another chart. We weren't rushed at all. One of the best physicians I've had the pleasure of going to. Couldnt have asked for a better experience, was in and out with all my answers in 20min and didn't feel like just another chart. We weren't rushed at all. One ofthe best physicians I've had the pleasure of going to. I would recommend Dr. Torchinsky to anyone. I felt comfortable and able to explain to all of my concerns, he workedto get answers quickly, explained everything clearly, was personable, & did not feel rushed. I was so happy that yoga for posture was a part of his prescription! I would recommend Dr. Torchinsky to anyone. I felt comfortable and able to explain to all of my concerns, he worked to get answers quickly, explained everything clearly, was personable,& did not feel rushed. I was so happy that yoga for posture was a part of his prescription! When scheduling appointments please be more specific. Please indicate if its related to ears,nose/sinus,throat and hearing loss is a big one due to limited appointment slots/and times. 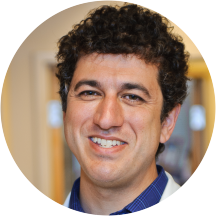 appointments related to hearing loss and dizziness please be more specific Dr. Cyrus Torchinsky is an ear, nose, and throat doctor treating patients in San Diego, California, and the surrounding communities. He is affiliated with Scripps Mercy Hospital. Dr. Torchinsky also holds certification from the American Board of otolaryngology. For his undergraduate degree, Dr. Torchinsky attended Dartmouth College. He pursued his medical degree at the Boston University School of Medicine. Dr. Torchinsky remained at the university in order to complete a Ph.D. through the department of anatomy and neurobiology. He received his residency training in otolaryngology at the University of California, San Diego. Patients visiting Dr. Torchinsky can receive care for a full range of ear, nose, and throat issues. He provides general consultations and cancer screenings, as well as treatment for issues including dizziness, sinus problems, sleep problems, ear pain, sore throat, and hearing problems. When he is not treating patients, Dr. Torchinsky enjoys surfing, cooking, and bass guitar. Would recommend him to anyone! He performed surgery on my husband and did an amazing job. Loved Dr T - They were a bit behind schedule but he apologized profusely the moment I met him. Great bedside manner, super knowledgeable. All around great visit! Dr. Torchinsky was wonderful. He took the time to talk with me about the reason for my visit without making me feel rushed. He asked a lot of questions to get at the root of the problem. Overall, he was veryfriendly and extremely helpful. My husband also saw him and reported the same experience. This guy is a great doctor. Very cool, takes his time, but most importantly he listened! Really super doctor and cares about his patients. Lovely doctor. Over qualified. Best ENT I have seen. Great Doctor - very thorough and helpful. Dr. Torchinsky is awesome. I went to his office due to my sinus infection and allergy problems. I would highly recommend him to anyone who surfs or swims in the ocean. In terms of customer service, checking in was easy becauseI filled out the medical forms online. I didn't wait longer than 10 minutes. In terms of care, Dr. Torchinsky was conversational, knowledgable and funny. I left the office with a regimen to cure my sinus infection, prescription for allergy relief, and recommendations for surf spots around town. Fun fact: Dr. Torchinsky is a surfer who grew up in Santa Cruz. If you're a surfer, you should see this doc. My experience meeting Dr. Torchinsky was great! He was personable, knowledgeable, & I felt he really listed to my concerns. He came up with an easy, conservative plan to help me with my issues which he feels confident will help. Butif they don't, he presented me with other options which we will discuss further if needed at my next follow up. I highly recommend Dr. Torchinsky for your ENT! They did not have my appointment through Zoc Doc, HOWEVER, even though they were totally booked, the person at the front desk was very kind, and managed to squeeze me in so I was able to see the Doctor. He wasextremely good and thorough, and made sure I understood everything. Totally put my mind at ease. I would highly recommend Dr. Torchinsky ! Very informative! He goes the extra mile for you! He called my insurance to get an MRI approval for me! Very friendly attitude, extremely attentive,and also knowledgable... I left his office with a peace of mind. He was awesome! He took time to listen to my history, carefully reviewed medications I had before recommending new medication to try. He also used a microscope in my nose before making any recommendations. Never felt rushed and appeared to genuinely care about finding a solution to my ailments. Well, I believe that the most important thing you look for in a doctor,the reason you go there, is healing your illness and this is somthing early to judge for me because I've just left the clinic 3 hours ago. Butthe best thing I like about the doctor that he didn't make me feel that he's in a hurry, like most doctors, and he tried to explain to me the situation and moreover tried to look it up in my mother tongue to make sure I got it although it wasn't smth serious.It was 5 minute waiting after filling the regular papers for 1st visit. Dr. Cyrus Torchinsky is nice and dedicated. I feel very much better after listened to his exlaination about my health prolem. He's very professional, care. I trust his diagnosis. Dr. Torchinsky acknowledged my needs and addressed every ailment I was experiencing. He expressed genuine concern, he was thorough, knowledgeable and personable . It's rare to find a doctor who loves their patients! Highly Recommended! Amazing doctor, terrible front desk girl. Great doc, he is a surfer and understands ear and nose symptoms that can come from years of being in the water. He seems to me to be a talented ENT, very knowledgable, well spoken, and overall a solid guy. He is very experienced and knowledgable in his field. He treats patients like a human being and never rushes through the process. He places values on patient education, so you feel like you can talk about all of your concerns relatedto the issue to Dr. Torchinsky. He answers to patients' questions very thoroughly with explanations. He is personable and smart. He doesn't waste time and has plenty of ideas for ways to proceed. I would recommend without reservation, except that I have not get picked up his prescriptions or had a second visit, so I thinkit would be premature. My ear doctor retired, so I am looking for a replacement. He may be it. Not that easy to park in Hillcrest. Fabulous! Patient and charming- put me at ease during an uneasy time. Definitely would recommend him.